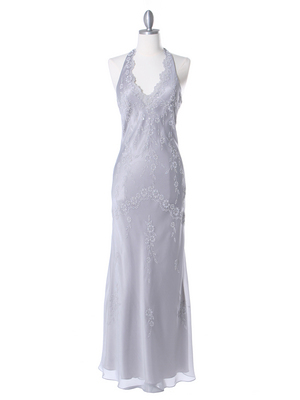 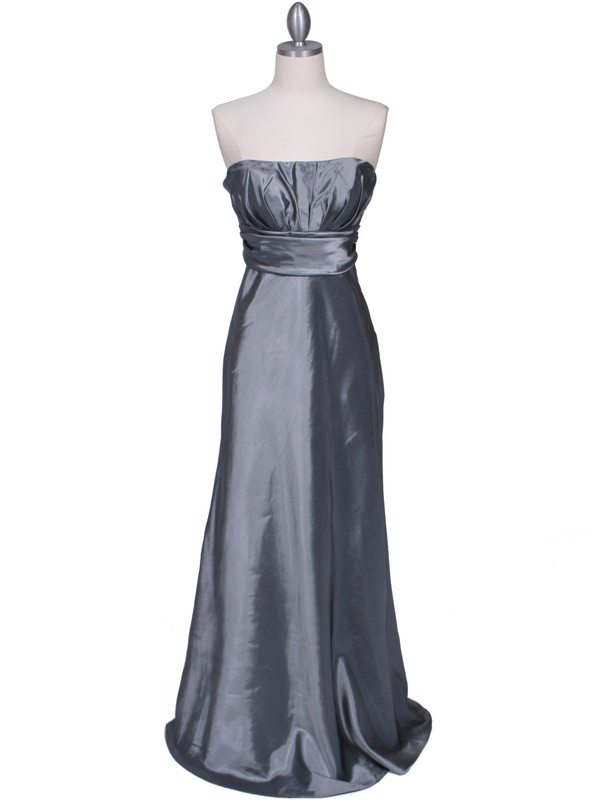 Silver Tafetta Evening Dress | Sung Boutique L.A. 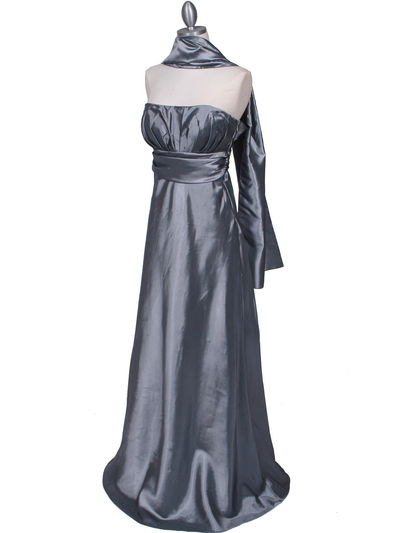 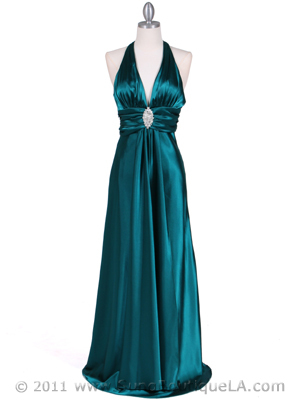 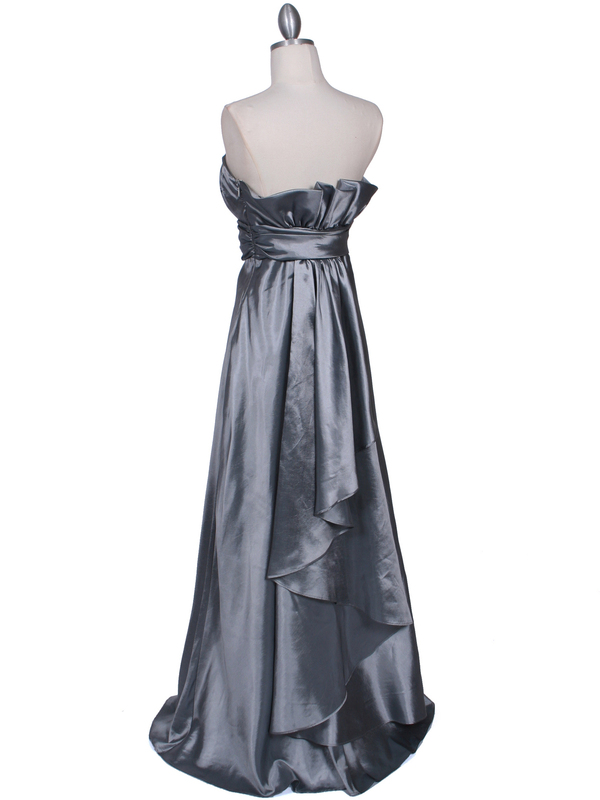 This elegant shimmery tafetta evening dress features vertifcal pleated bodice with empire waist. Floor length skirt with light train finished the classic look.